CHINA GOLD | Love Productions Inc. 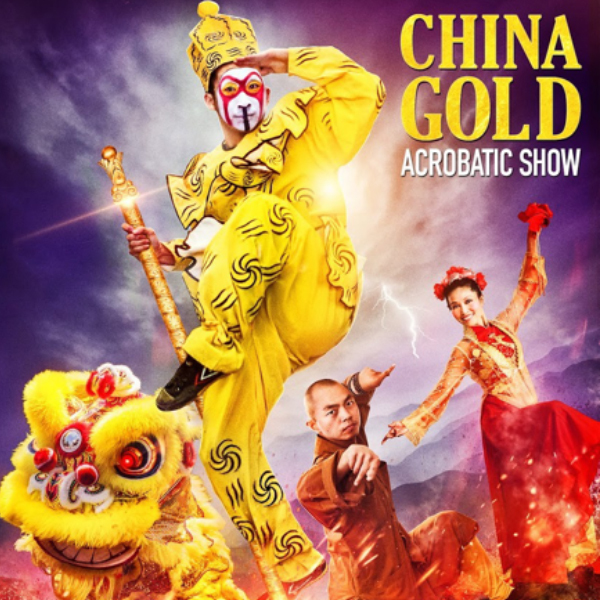 Enjoy feats of athleticism, sound and grace in synchronous motion as the China Gold Acrobats perform. This spectacular presentation features many feats of strength, speed, and agility. With uplifting choreography and cinematic music, the presentation is a sheer spectacle sure to captivate any audience. Recently featured on International television, reaching a projected estimate of 1.7 billion views internationally. The show is an awe inspiring spectacle featuring a variety of acrobatic acts and dances sure to mesmerize any audience.